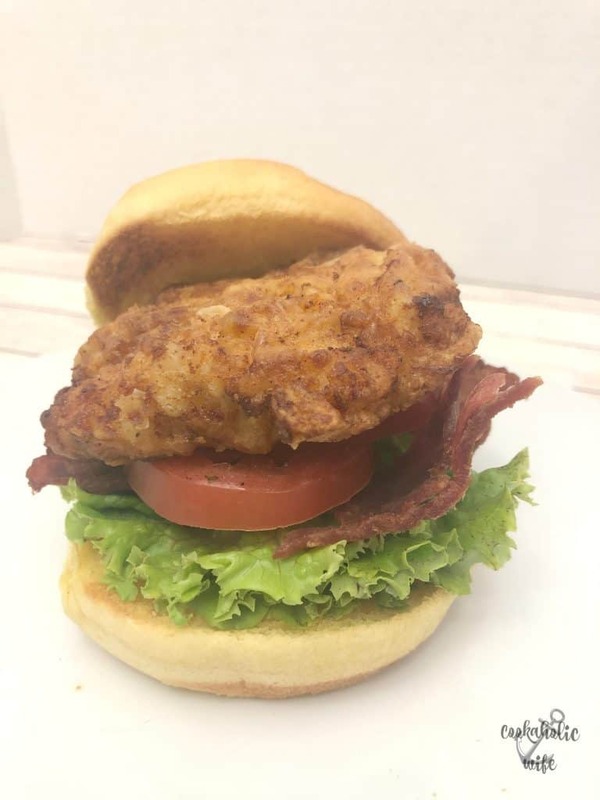 Fried Chicken BLT is a take on the classic bacon, lettuce and tomato sandwich but topped with a piece of crispy fried chicken and your favorite sauce. I cannot believe that it is April already. This year is really flying by and I’m barely keeping up with all of the things that I need to do. I feel like this is a thing that happens to me every spring though. As soon as the weather gets warmer, I pile on all kinds of stuff to accomplish and then spend the rest of the month relatively stressed out trying to get it all done. But enough about me. Let’s talk about BLT’s. 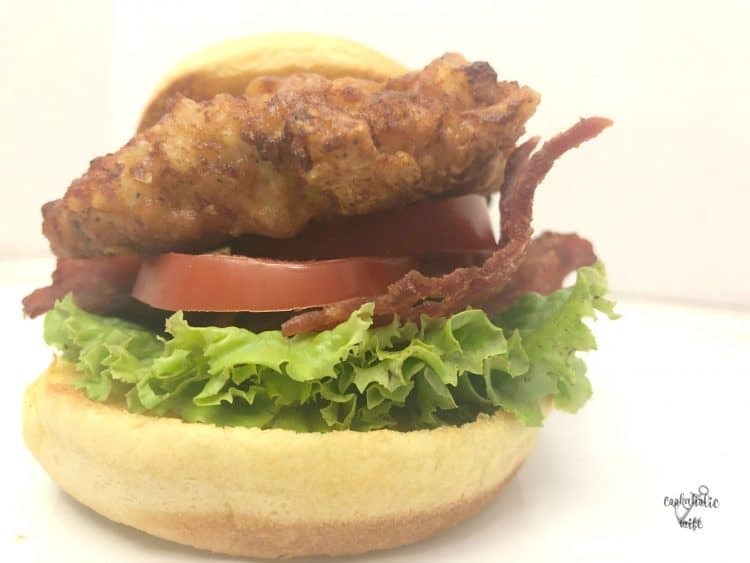 There is just something super tasty about the combination of salty bacon, a fresh tomato and crisp lettuce on a bun or between two slices of bread. It’s honestly one of my favorite sandwiches ever and you really can’t go wrong by adding anything else to it. Fried chicken. Or fried green tomatoes. Jalapenos. A fried egg. Turkey. Avocado. Really, the possibilities are endless! 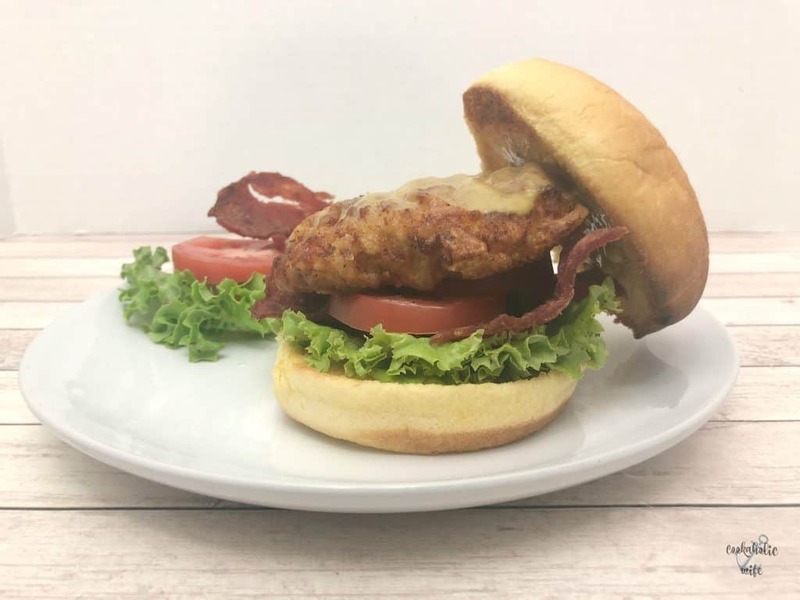 For the past couple of weeks I’ve been thinking about the Nashville Hot Chicken that I’d made and I really, really wanted another good fried chicken sandwich. 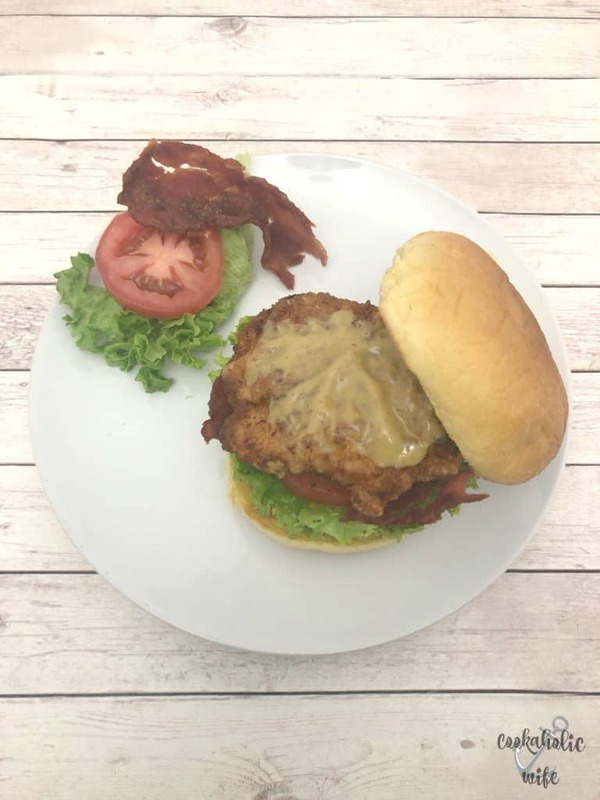 I did think about making the fried chicken spicy for this recipe, but eventually decided against it, wanting to allow the bacon, lettuce and tomato to really shine. Did you know it’s National BLT month or even that that is a thing? I didn’t, until I looked at the event for this month’s Foodie Extravaganza. Sue of Palatable Pastime is our host for this month and the recipes all of the other bloggers are sharing below. 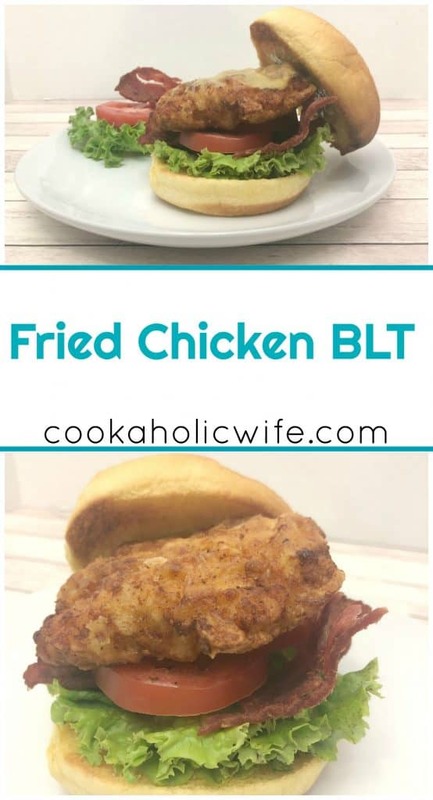 I’m now on a BLT making kick and can’t wait to try out what they’re sharing with us today too. Oh boy was this sandwich good. I made them for lunch one weekend, but they could have easily served as dinner if I had served some chips with them or made fries. Honey mustard is my favorite flavor on chicken, but I think ranch would have also went really well. Feel free to experiment and see what flavors you like best. And let me know how it goes! I’d love to see your creations! Foodie Extravaganza celebrates obscure food holidays by posting delicious recipes your family will love. Posting day is always the first Wednesday of each month. If you are a blogger and would like to join our group and blog along with us, come join our Facebook page Foodie Extravaganza. We would love to have you! If you’re a home cook looking for tasty recipes, check out our Foodie Extravaganza Pinterest Board!